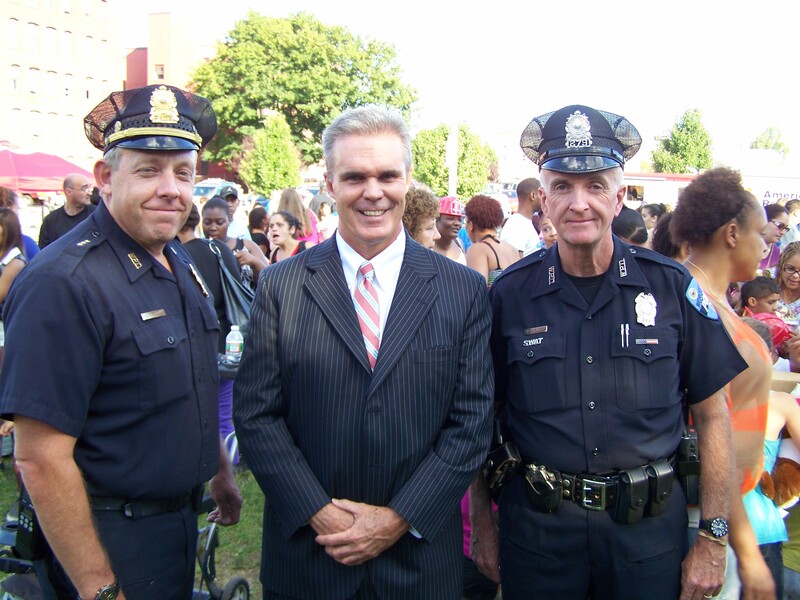 DA Early with Worcester Deputy Chief Edward McGinn and Officer Paul Noone. 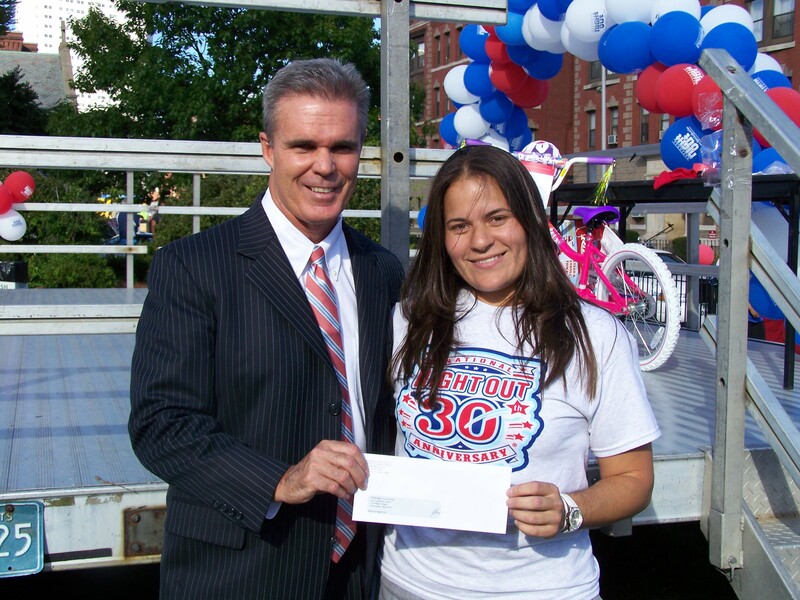 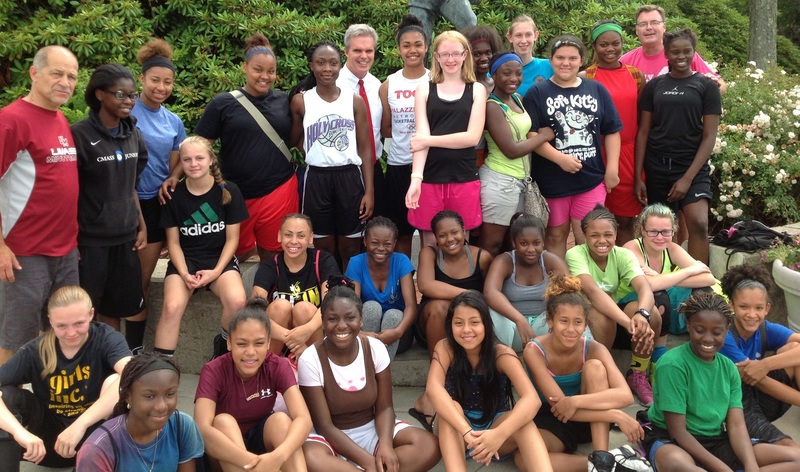 DA Early presents a check to community organizer Locksann Velez to help pay for the Worcester event. 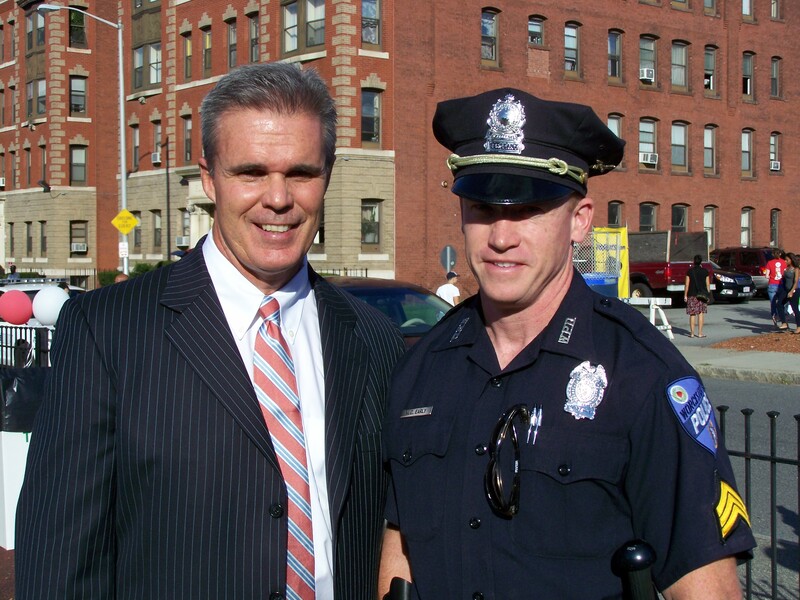 DA Early with Worcester PD officer Matt Early. 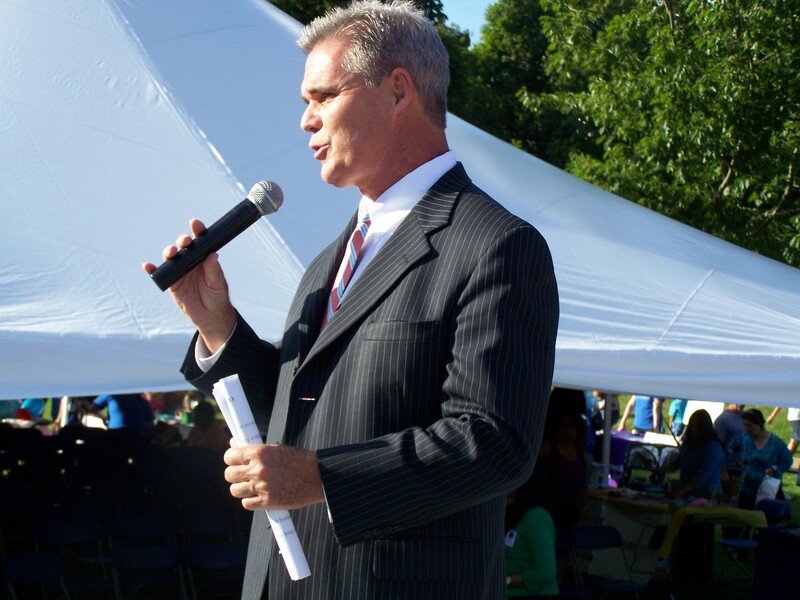 DA Early speaks to the crowd.